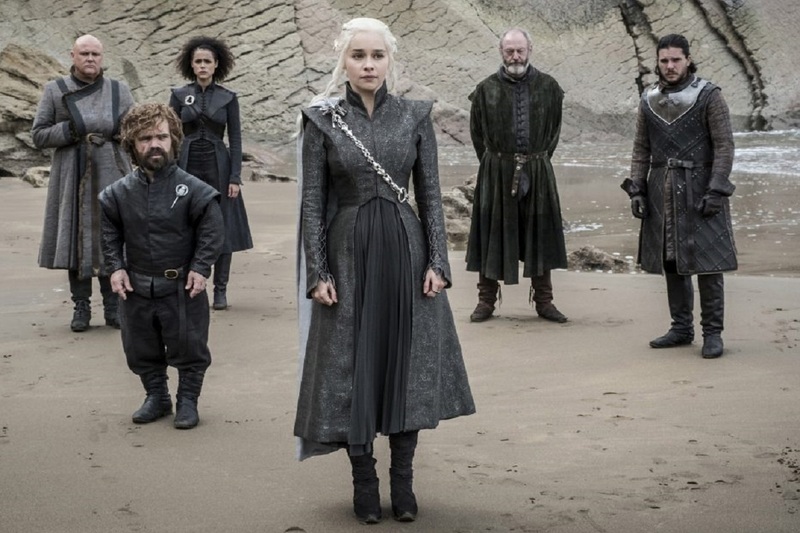 Game of Thrones is back and Getintothis’ Nathan Scally has the outsider knowledge on what’s happening on the hottest and coldest show on TV over the next six weeks. Winter is here but things are heating up in Westeros. 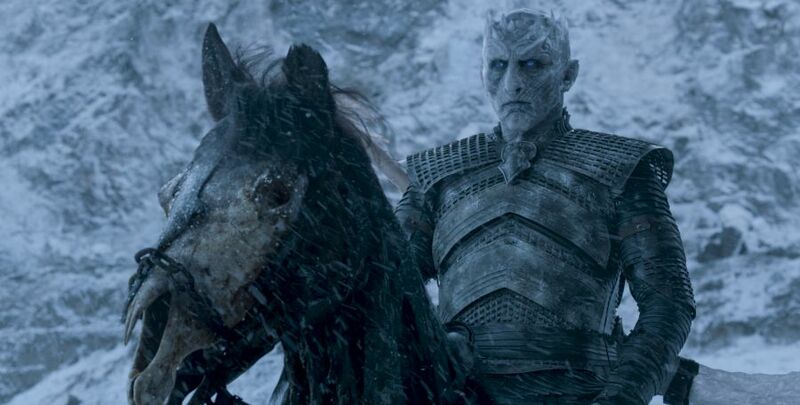 After thousands of years the wall has come down, the Night King has a dragon, war is raging across the continent – and we’re left with only six episodes to reach some form of conclusion. Granted these episodes are longer than the regular episodes. (1 and 2 are 60 minutes, and 3-6 are 80) But that’s still a mere 440 minutes. For a show this size with so many subplots, relationships and key characters, that’s a lot of loose ends to tie. Meaning we can expect a lot of abrupt deaths. Season 7 was a big reunion for many of the characters – the surviving Stark children are back under one roof, Brienne got a quick meet with Jaime and The Hound, Jorah found his way back to Daenerys for the third time. With the meeting in Kings Landing proving to be a mixing bowl keeping each interaction short and swift. As usual we only know a few things about the upcoming season. There’s going to be two big battles. Winterfell is the setting for a scene that took 55 nights to film. 55 straight nights to get every last detail to be perfect. And the much more secretive battle down south, presumably for Kings Landing. In true Thrones style we have a look of drama to look forward to. The battle scenes are remarkable, but it’s the relationships between the characters that really spring the show to life. It simply wouldn’t be Game of Thrones if everyone survived to the end. Leading us to the big questions? What is going to happen? And who will die? Simply put, a lot of people. Far too many to name in one go, so here are just a few theories surrounding the larger players. Brienne will initiate the Valonqar theory. 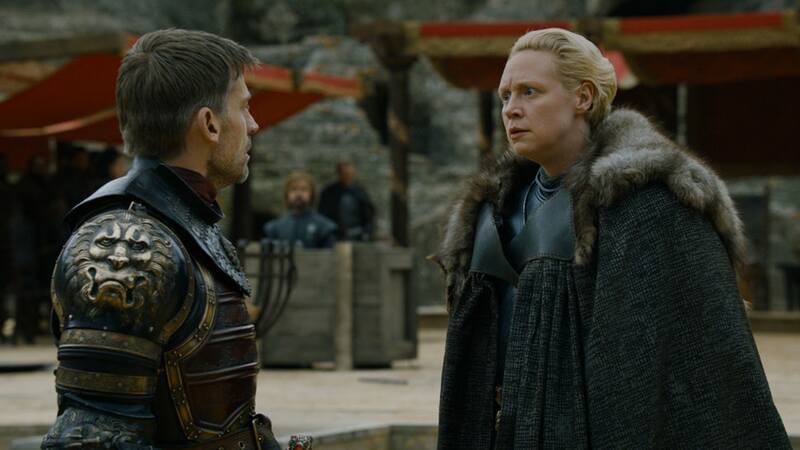 Brienne of Tarth has been in the show and our hearts since season 2. She’s fulfilled her oath to Catelyn Stark and seen both Arya and Sansa home and safe together, avenged Renly and even taught Podrick the love guru how to fight. Oathkeeper, the sword gifted to her by Jaime is one of the few Valyrian steel swords in circulation – that coupled with her supreme fighting ability will make her one of the more successful wight killers. But it’ll take something big to finally make the Kingslayer turn his back on Cersei for good. An emotional death at the hands of the undead will surely enrage Jaime to do something drastic. 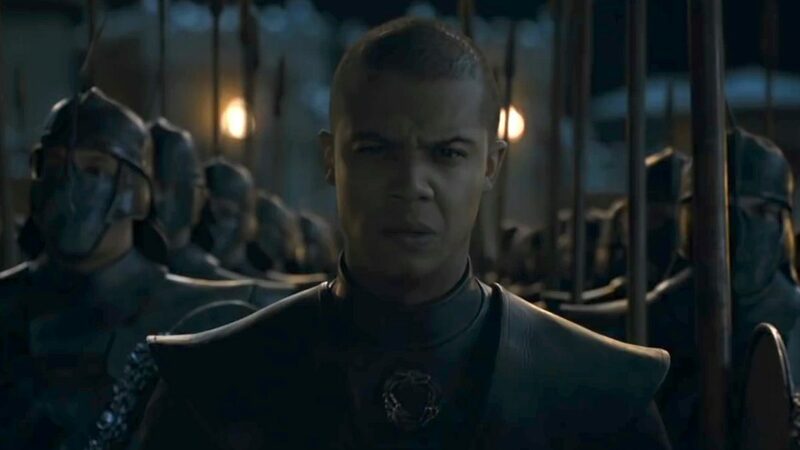 What if Cersei had actually sent her soldiers to help? Maybe she’d have survived. Another nailed on moment to expect is Jaime dying with Cersei. 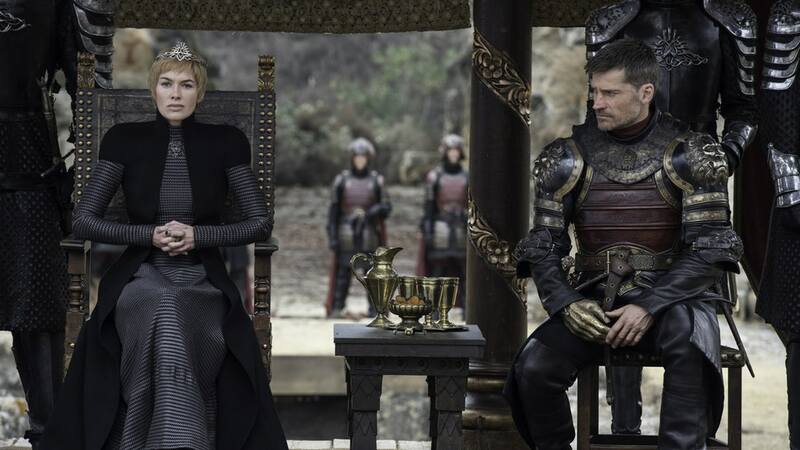 The Lannister twins came into this world together, and it’s been foreshadowed a number of times they’ll leave it in the same way. Attempting a hit on the Queen is a suicide mission and Jaime won’t make it out the room alive. Whether that’s injuries sustained on the way or The Mountain catches him immediately after, his days are numbered. Not so much a prediction as a dead on certainty. Jon’s true parentage will cause some rifts in the hierarchy at play. According to the rules of succession, he’s ahead of Dany as the rightful ruler of Westeros, which will definitely brew some tension. And that’s without mentioning the backlash among the northerners who have already named him King in the North. This issue will likely be dealt with by early in episode 2 at the latest, what with the army of dead only being a few yards away and all. 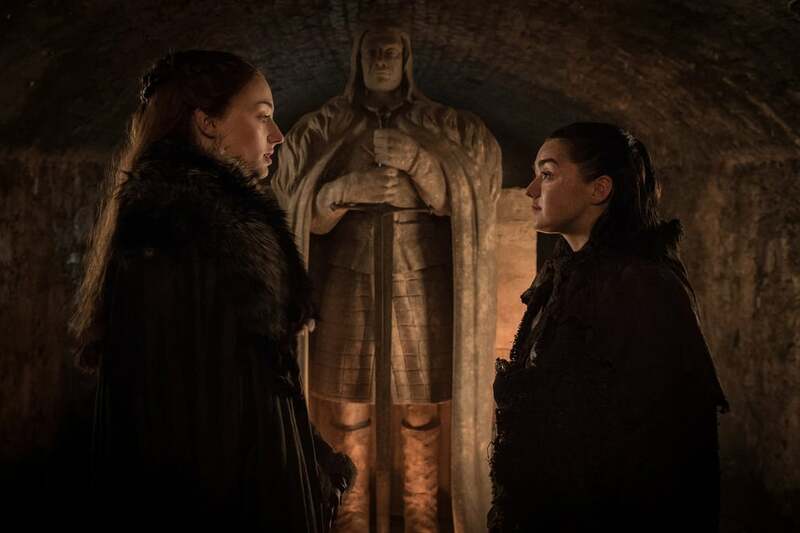 The crypts of Winterfell have secrets… and we’re about to find out what. The Stark burial ground has featured heavily in the promos so far. Jon, Sansa and Arya spent a cool minute or so down there in January. And the first full trailer of the season opens with Arya running and clearly flustered which is very out of character in what appears to be the underbelly of the castle. It’s hinted at in the books and lore of A Song of Ice and Fire that The Great Other (Other is another term for White Walker) resides underneath. Which might mean the first battle there could prove more than simply convenient. Further potential evidence comes from season 1. Osha is carrying Bran through the crypts after he and Rickon have dreamt of seeing papa Ned down there. Her prior experience with the undead has her looking rather shaken up on the tour of dead Starks. 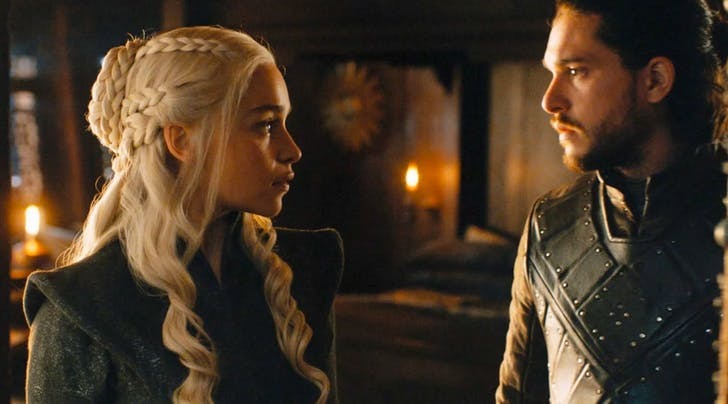 Predicting the final season is proving tougher than ever now we’re far beyond the books. But we can take some educated guesses regarding Bran, Gendry and Berric. Bran has been a central character in the series, taking us beyond the wall and back – picking up some mystical powers along the way. There is no chance the showrunners will have invested so much time in the youngest Stark just for him to deliver exposition regarding Jon’s parents. Back from rowing years worth of rowing, Gendry won’t have been saved from the Street of Steel mere for fan service. The last living child of Robert Baratheon definitely has something big in the tank besides being the fastest in the pack. Berric Dondarrion has been revived from the dead six times. Six whole times. And he’re more than happy to tell anyone who speaks to him for longer than 2 minutes that he’s been brought back for a reason. 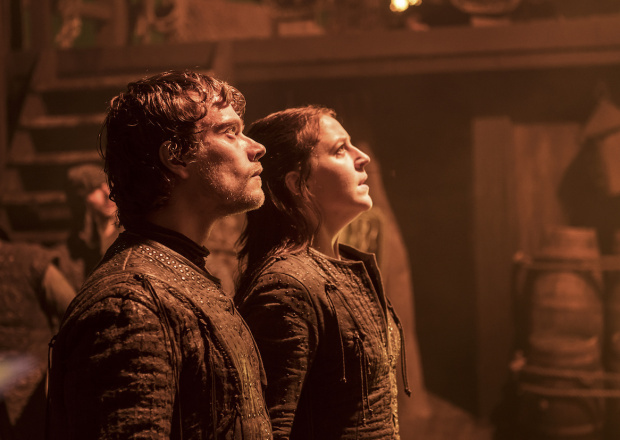 There aren’t many characters who’ve been with us from the very beginning, but Theon Greyjoy has managed to hold on somehow. What was at first an arrogant brat growing up with the Stark children, has changed a lot as the years have gone. From friend, to backstabbing foe, to Reek and now a shadow of Theon. He was last seen sailing to redemption with two dinghy’s worth of men to save his sister from a fleet of his uncle Euron’s men. Logically only one or two will make it to Yara, but he’s due a redemption. Otherwise, what has all this been for? The most poetic ending would be him dying in his sisters arms after bypassing Euron. Leaving Yara to take her rightful place as the leader of the Ironborn. 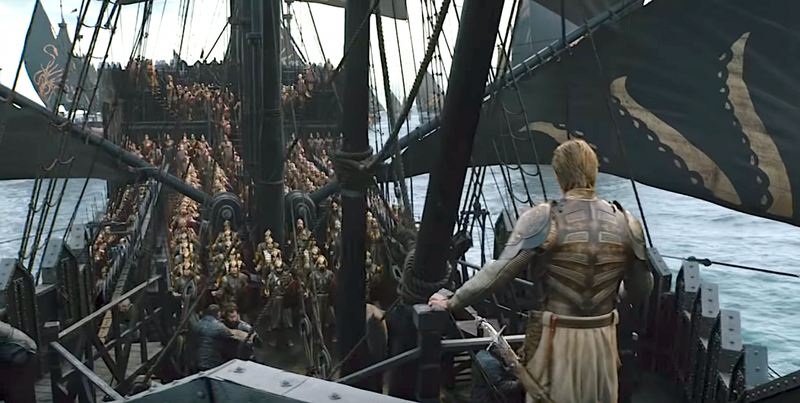 Instead of sailing home to Pike, the ending of season 7 saw Euron sneak off to pick up the Golden Company for the Queen Cersei. And whoever wins the battle at Winterfell, be it dead or alive, is going to march South for the throne. Leaving Cersei clambering for all the help she can get. But she isn’t going to get any from the mercenary group. The famed Golden Company have descended from the Targaryens in the books, which could lead to a first-time side change for the sell swords. Or our beloved Daario Naharis could make a dramatic return from his season away in Meereen and whisper some sweet nothings to the army. Saving them from some dragon fire in the process. Fan service isn’t commonplace in one of the most trigger happy shows on TV. But picture this. The Hound and Jaime zipping through Kings Landing direct for the Red Keep on the hunt for Cersei. 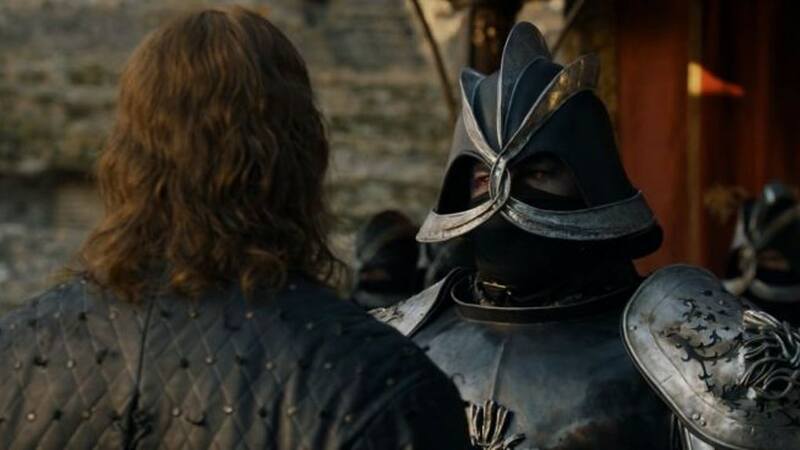 Sandor Clegane will be ripping through anyone in their way in typical Hound fashion, while Jaime makes some witty remarks and golden-hand-pimp-slaps the odd soldier. It’s unlikely buddy cop duo, but it would lead us right to Cleganebowl. This clash of siblings will be a battle to behold. Blood and wine spilled everywhere, blending into a cocktail of sadness and disappointed parents. There’s only three ways to find out what’s going to happen. Either watch it in the twilight of Monday morning. Be bombarded with spoilers throughout the day. Or hang on for the much more friendly, 9pm showing.